Recipes, trying new local ingredients, occasional reviews and always enjoying my food. To celebrate the fact that Bloggers Scream For Ice Cream is now a year old, Kavey's challenge this month was to make a frozen treat that fit the theme for one of the preceding months. The one I have come up with actually fit the brief for three months gone by - June's fruit, July's condensed milk and December's booze. Three times as good, then. Last Sunday it was our wedding anniversary. 7 years. We just stayed in and had a nice dinner. Getting married so close to Valentine's Day means we sometimes bundle it up in the set-dinner-for-two thing, but this year it was just a special day for us. For our dinner on Sunday, I served delicious onglet steaks with duck-fat sauteed potatoes and steamed broccoli topped with anchovy and garlic breadcrumbs. And then I served this light, tangy ice cream for dessert, along with Azelia's marmalade brandy snaps. I'm giving two recipes here - the one that I made and the one that I think will improve on what I did. You see, even though it is the obedient condensed milk base, I put in a bit too much of the deliciously acidic orange juice, so it doesn't scoop so softly. It does have a wonderful fresh flavour and lovely velvety texture though, so it certainly wasn't a failure, it just needed to sit out to ripen for a few minutes before scooping. Paul even asked for a portion of his own, which never happens. I didn't have to share the brandy snaps though, he found their butterscotchy gorgeousness too sweet for his palate. Whisk the condensed milk into the juice and zest of the seville oranges. It should thicken pretty much straight away. Then add the cream and vodka and whisk until it holds soft peaks. Scrape into a container and freeze. Follow the recipe as above, increasing the booze and decreasing the juice. I think this will be brilliant, but I will let you know when I have tried it! The orange flavor in ice cream sounds fabulous! So refreshing. the ice cream and brandy snaps look just amazing!! Happy Anniversary too. I'm surprise you say the ice-cream wasn't quite right as it looks absolutely gorgeous in that 2nd photo. A delicious sounding dessert. I love making my own ice cream, and I also love the sourness of Seville oranges - I obviously need to give this a try. 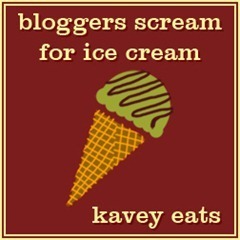 Must also check out Bloggers Scream for Ice Cream. those brandy snaps look great, and they're perfect to eat alongside your nifty batch of ice cream! Eek, I thought I left a comment on this at the time you sent it to me, but now I come back and read it again, I remember I couldn't get it to work on my mobile. Love the flavour combination and with brandy snaps sounds great. Did you ever retry to the reworked recipe? Kavey - I haven't yet. We ran out of marmalade vodka! But I have some seville oranges in the freezer waiting for the moment. 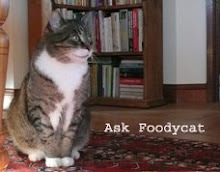 All the photos and text on Foodycat are by me (unless otherwise stated). So please ask before you rip anything off! I'm honoured if you want to use something, but please do let me know and give credit where due.